Flower pots made of white commercial plywood, mainly used for decorative purposes. Printing, if any, as per design. Fine Decorative Wooden Flower Pot Available In Different Designs & Sizes. We are engaged in providing a wide range of Wooden Flower Pot to our clients. 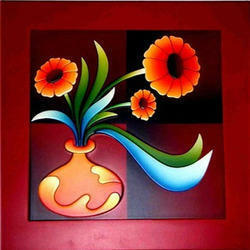 We are recognized as the leading entity of optimum quality Flower Pot MDF. 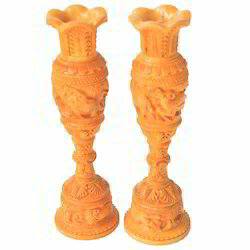 We are successfully meeting the varied requirements of our clients by providing the best quality range of Fancy Wooden Flower Vase. Owing to the efforts of our dedicated team of professionals, we have been constantly engaged in offering the best quality Wooden Flower Pot. Material: Wood and animal natural skin. It's made of mango wood with brass outlay works.An antique style has been given.